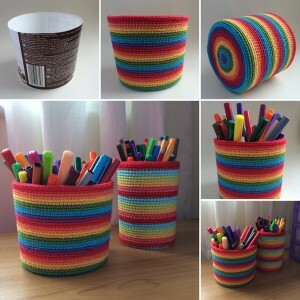 I made these colourful crocheted pencil holders for my children. Now, all their pens and pencils will be organised (hopefully). 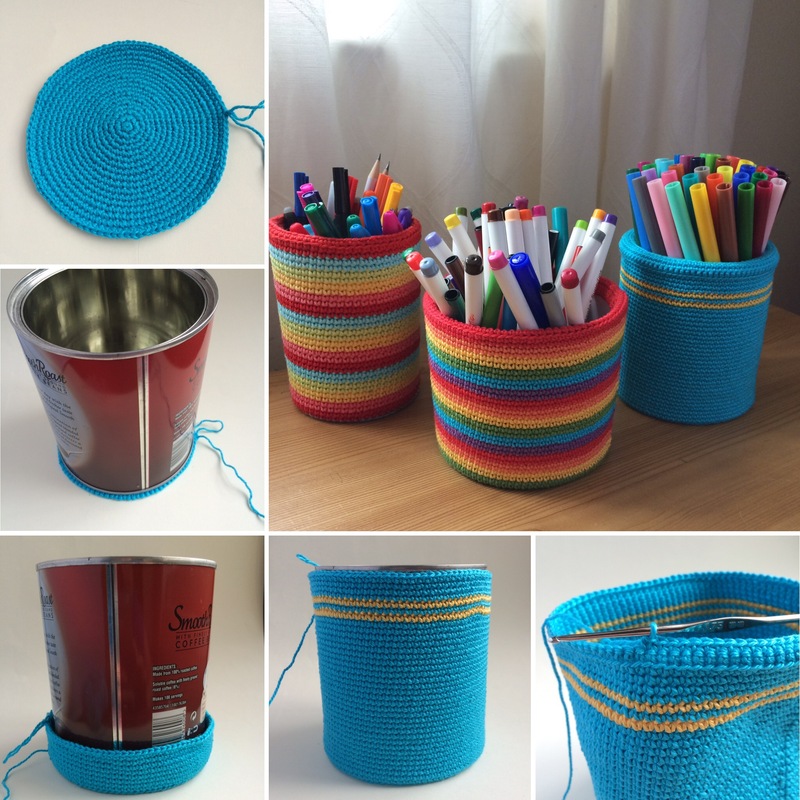 To start with, I got a container (an empty yoghurt pot/coffee tin) and chose yarn/hook (I used size 3 cotton thread and 1.75mm hook). Then, I crocheted a flat circle as wide as the diameter of my container (1st. round – 6sc into magic ring, 2nd round – 2sc in each st around (12), 3rd round – *sc, inc* x6 (18) and so on, adding 6 sts to each round until needed size). After that, I continued making the rounds without any increases to match the height of my container. This entry was posted in Other and tagged pencil holder. Bookmark the permalink. Hello. Lovely idea. I’ve had a go but how do you finish off the top? Do you do a decrease row to keep it snug? Really great idea. The container to be take out after crochet till decided height right? Thx for sharing!